Our classic men's trifold wallet is perfect for the guy in your life. Our classic Men's TriFold Wallet is made completely 'in your hoop' in one hooping. It's the perfect guy gift. 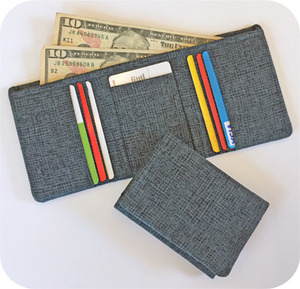 The wallet features 6 credit card pockets, a center pocket for an ID or license and a large back pocket for cash. It folds into thirds and fits comfortably into a pants pocket. Detailed photo instructions are included.